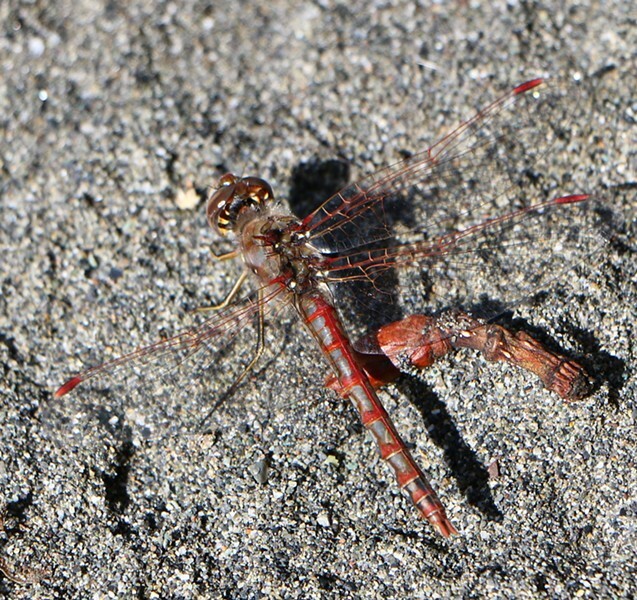 This dragonfly is missing its left front wing. I should explain I am using the word “Bug” in the generic sense ... any small creepy crawly critter born with more than four legs. There is another technical definition for the word: a member of the insect order Hemiptera. The “true bugs” are generally shield shaped, with front wings about half the size of the rear wings and piercing/sucking mouth parts. The battered wings of a pale swallowtail butterfly. One thing I noticed shortly after downloading my first digital photos of insects was how difficult it was to acquire a perfect shot of a perfect insect. Many entomological photographers actually raise specimens to get perfect photos of undamaged butterflies and moths. At first I was disappointed taking what I thought was a perfect shot and finding a butterfly's wing torn or a spider missing a leg, but soon came to realize these were the marks of the animal's history, like the scars on my own hands. They tell the story of a hard life. In their world there are no police to run to, no judicial system to appeal to; it is truly a dog eat dog place. 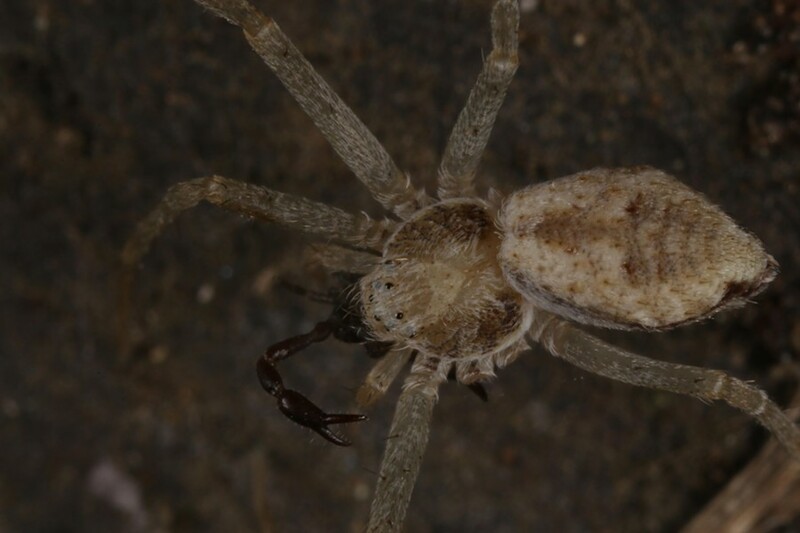 Despite missing three legs, this running crab spider managed to subdue a psueudo scorpion. Insects have six legs and spiders eight, so they can afford to sacrifice one if it allows them to escape with their lives. 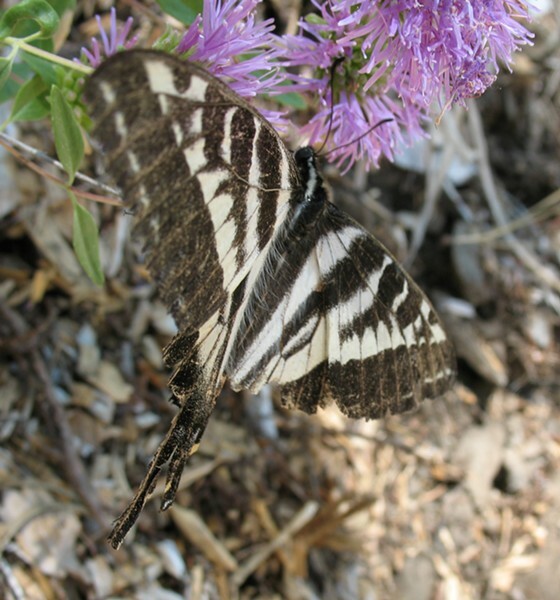 Butterfly wings are much larger in proportion to their bodies compared to many other fliers. The loss of some surface area is less of a problem for them than it might be for a fly, or even a bird. They are, in a sense, over designed. I cannot conceive of a single one of the nearly million identified species of insects, not to mention spiders, centipedes, millipedes, sow bugs, or scorpions which is so fierce as to be immune from predators. Some of the fiercest, like the black widow and the praying mantis, resort to cannibalism on occasion. The insects we see today are the products of millions and millions of generations of daily, deadly struggle. It is little wonder they are so tough.